Unless you’ve been completely off the grid for the last few days, you will have at least caught wind of news about Meltdown and Spectre, considered to be the ‘worst’ bugs ever to afflict CPUs. 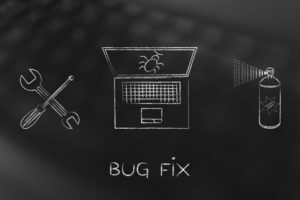 These bugs are so critical that you need IT services experts in Los Angeles to prevent them from damaging your business. Meltdown and Spectre are vulnerabilities in the way CPUs have been optimized to provide greater computing performance. Both bugs provide potential ways to gain privileged access. This access could be used to gain control over a computer. Most probably, yes. The vulnerabilities affect most CPUs produced by Intel, AMD, and ARM since 1995. Apple has announced that all Macintosh computers, iPhones, and iPads are affected though it adds that no known exploits have affected users. Microsoft has rolled out automatic updates for Windows 10. Updates for Windows 7 and 8 are available but won’t be applied automatically. The effectiveness of these patches will depend on firmware updates from other vendors. In some cases, OS updates cannot be applied until antivirus providers have issued software updates. Microsoft is also issuing updates for its Surface devices. Apple already updated MacOS, iOS, and tvOS to mitigate the threat from Meltdown. Meltdown does not affect watchOS. Apple is issuing updates to the Safari web browser to mitigate the threat from Spectre. Some of the most popular distributions of Linux have already been updated. An IT services provider in Los Angeles will need to follow developments in your particular flavor of Linux for the latest updates. All major providers of cloud services have updated their systems to mitigate the threat. Though the changes should be transparent to users, some patches are still to be applied. The real cost probably won’t be known for some time. Estimates on the performance penalty of the OS updates vary, but cloud hosting is likely to see the biggest hit. On the desktop, there are many other vulnerabilities that are much easier to exploit, so Meltdown and Spectre will likely remain rather theoretical risks at this level. For cloud services, however, the cost is likely to be much greater and the real security threats may not be known for many years. The Meltdown and Spectre disaster serves to highlight the importance of fortifying your network security. Just the resources needed to maintain awareness of the state of your IT security can be a huge challenge. At Intelecis, as an MSSP and an IT services provider in Los Angeles, we know how to optimize strategies and tools to minimize the cost of security and the threat to your business. To find out how we can help you, contact us today.